"The visuals, especially on the Creek, immediately puts you in mind of the nearby Melbourne sandbelt and whilst the Beach might not be a links course in the absolutely purest sense it is very, very close. The grass permits running shots, the fairways are rumpled, the bunkering is deep, the large greens are undulating, the conditions are fast and wind is a factor." This will be the first time that the Vic Open has been sanctioned by the European Tour, but the tournament's history stretches back to 1957 and in recent times it has found a new life as a radical event which co-hosts a men's and women's event at the same time. You might instinctively suggest that Morocco has been doing this for years with the European Tour's Trophee Hassan II and LET's Lalla Meryem Cup, both staged initially in the same city and now at the same club, but those events are split geographically by a road that lies between the two courses and metaphorically by a chasm because the interaction is more or less non-existent. In 2013 Golf Victoria moved this event to 13th Beach Golf Links and uses its two courses to create a far more involved week of mixed golf. The two fields play the opening 36 holes on the Beach and Creek courses, then the weekend is played on the Beach course with alternating men's and women's groups (the tournaments themselves remain distinct from each other). What has been the impact of these changes? Nine years ago the women's event had fallen from the schedule and the men's was a very minor affair on the local circuit. Now both fields are sanctioned by worldwide tours and the prize fund (split eqaully) is $3 million. The host's name gives you a hint of what is to come, but so does the location. Port Phillip Bay stretches out from Melbourne and when it reaches the ocean two peninsulas angle in towards the opening, like the arms of a crab. 13th Beach Golf Links is situated on one of those arms and is therefore regularly buffeted by the famously tempestuous wind which blows down the Bass Strait. All that said, if the wind doesn't blow the courses will be there for the taking. They are short tracks and both par 72s. The Creek Course is a Nick Faldo design and the more inland of the two. It takes strong inspiration from the nearby Melbourne Sandbelt. The Beach Course is 18 years old and, as the name suggests, nearer the sea. As discussed below, it is a far more links-like examination. One final point: there was conflicting information on the European Tour website about which course is used at the weekend. I've received confirmation it is definitely the Beach. Live on Sky Sports all four days beginning at 04:00 UK time on Thursday. What Will It Take to Win the Vic Open? Based on past winners here it is tricky to get much of a grip. Matthew Giles, Matthew Griffin, Richard Green, Michael Long, Dimitrios Papadatos and Simon Hawkes have claimed the title, but there is little to go on in their past records at home never mind on European Tour courses this year's entries will have played. There is a Torquay and a Sorrento nearby, but this is neither the Devon nor Amalfi Coast. Instead it is a Victorian challenge with more than a hint of golf as it began. The visuals, especially on the Creek, immediately puts you in mind of the nearby Melbourne sandbelt and while the Beach might not be a links course in the absolutely purest sense it is very, very close. The grass permits running shots, the fairways are rumpled, the bunkering is deep, the large greens are undulating, the conditions are fast and wind is a factor. First factor to note: there is a 54-hole cut in addition to one at halfway; the first is 60 professionals plus amateurs, the second 35 pros or amateurs. The six winners on the course were all within three shots of the lead after 54 holes yet only one of them was leading. Oddly there have been a lot of play-offs (four in those six starts). Could it be argued that, at the weekend, the staggered tee times will impact? Possibly, in the sense that the earlier groups can post a number which has more time to create scoreboard pressure (should the flow of the event have gone that way), but it would be guesswork at best. Jason Scrivener, Lucas Herbert and Ryan Fox head the market. The first two Australians, the latter a Kiwi, they have all been knocking on the door of a breakthrough win on the European Tour in the last two seasons and each has experience of the event. Scrivener failed to break 74 in missing his first two cuts here, but led by one after 54 holes in 2015 before finishing tied 11th. He's a consistent performer, no doubt, but six top five finishes in in 112 European Tour starts is not a record to give you great faith in a 12/1 favourite. In contrast Herbert finished in the places five times last season alone and the fact he did so at the blowy seaside Verdura in the Sicily Open might be a good pointer. He's played the event five times and cracked the top 30 when tied sixth last year. Fox has a course record much like Scrivener: MC-MC-T20th. On the other hand he's not finished outside the top six in the last two years at the Irish and Scottish Opens. Vague conclusion: he likes links golf, but has struggled to translate it here. 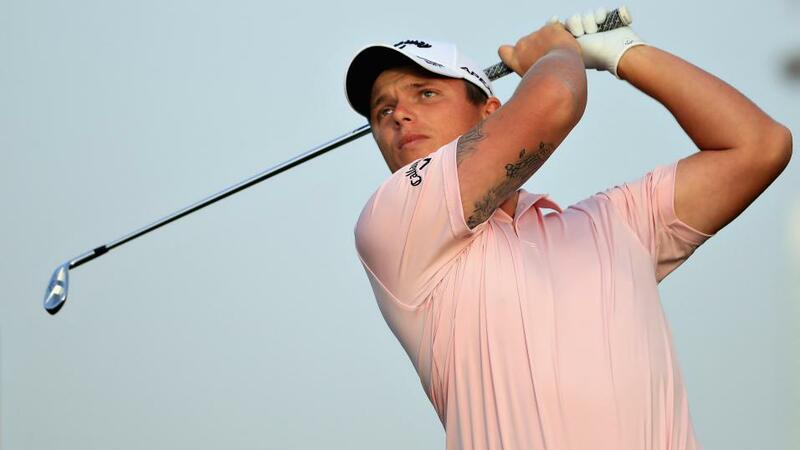 Herbert, who held a share of the halfway lead last time out in Dubai before finishing tied seventh, earns first pick. Those early course struggles came when he was callow at this level and he's a golfer on the rise. Beyond that, look first to a pair of Englishmen with links pedigree. Back in July 2017 Callum Shinkwin lost in a play-off at the Scottish Open hosted by Dundonald Links and 12 months earlier he was tied eighth at Castle Stuart. Tied 56th last time out in the Dubai Desert Classic doesn't immediately impress, but he made a bright start, shooting 66-68 to be in the top five at halfway. Ashley Chesters is a golfer to follow when the course suits. He'll have good weeks elsewhere, but tight and tree-lined or blowy and links are where he thrives. He finished tied 12th in the Open as an amateur, has two Irish Open top 20s on linksland and had a first experience of genuinely contending late last year at Valderrama. Finally, there is something about the Beach Course which calls to mind both Oitavos Dunes and East London. They're all shortish, fast-running, seaside tracks with fairways lined by hardy, prickly foliage. Frenchman Gregory Bourdy needs lifting out of a form funk and maybe the visuals will assist. He's a past winner at Oitavos and was second in East London.